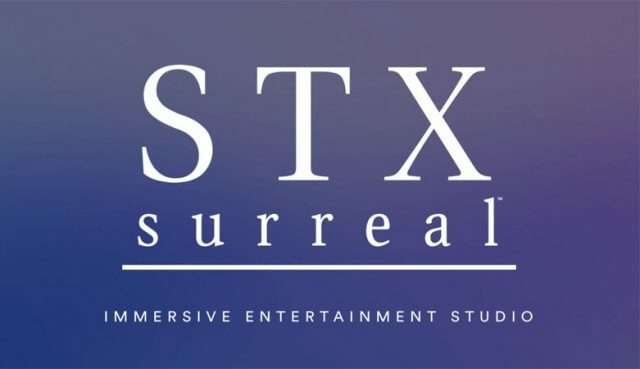 The talent-driven division of the media company STX Entertainment, STXsurreal, has announced a slate of new projects in development through their VR platform. Though the upcoming application, the Surreal channel, is not set to debut on VR headsets until the middle of this year, the division has already launched over 100 celebrated immersive content for various networks, including the Golden Globes Red Carpet Experience, “Snoopavision with Snoop Dogg” for YouTube, and “American Idol: Best Day of My Life” back when the show was still airing on Fox. The Surreal network is being developed through a partnership with Google. It was announced in February that a VR action series directed by Robert Rodriguez (Sin City, Alita: Battle Angel) entitled The Limit would debut on the upcoming service starring Michelle Rodriguez (The Fate of the Furious), and now STX has announced five new projects are in the works for the future of the pay-per-experience network. The first will be a live-action comedy series entitled New Tricks, directed and produced by Ed Helms (The Office, The Hangover) and written by Frank Lesser (The Colbert Report), following an aimless 30-year-old Radio Shack employee who learns from an elf that he is prophesied to become the greatest wizard the world has ever seen. The second is an untitled collaboration between the studio and Dave Bautista (Guardians of the Galaxy, Blade Runner 2049) that is currently in early stages of development, with the only thing known about it being an action comedy. The third will actually be a spin-off from an upcoming STX film, Mile 22 starring Mark Wahlberg (Deepwater Horizon, All the Money in the World) and directed by Peter Berg (Lone Survivor, Patriot’s Day), entitled The Kiev Exchange. The live-action series will follow an elusive CIA force known as Ground Branch as they fight their way out of an ambush in a public square following a botched hostage negotiation. Berg will also direct the series, while Wahlberg will stay on as strictly a producer. The fourth project will be sure to draw many audiences in as viewers will get to go on adventures through the perspective of Silent Bob from the eponymous Jay and Silent Bob franchise created by Kevin Smith. Smith will write, direct and produce the series that will also star longtime collaborator and friend Jason Mewes as Jay, who drags audiences along through more idiotic adventures. The fifth project will be a sci-fi adventure written by Derek Kolstad, the writer behind the acclaimed John Wick franchise. Audiences will assume the role of a government agent in 1947 investigating an aircraft crash in New Mexico that is quickly evident is no normal aircraft as the agent investigates the case. No dates are currently set for when these new series will premiere, but the Surreal network is set to debut in summer of 2018.